Celebrating your 1st Mother’s Day (or 20th!) is very exciting! Whether you are pregnant or have a baby to hold or multiple children, celebrating Mother’s Day is almost like a rite of passage. It’s a day that we moms are pampered and appreciated which often times can go left unsaid with how fast life moves. What kind of gifts should you give a mom for Mother’s Day? Well, we have a complete gift guide for you with ideas for even the pickiest mom! 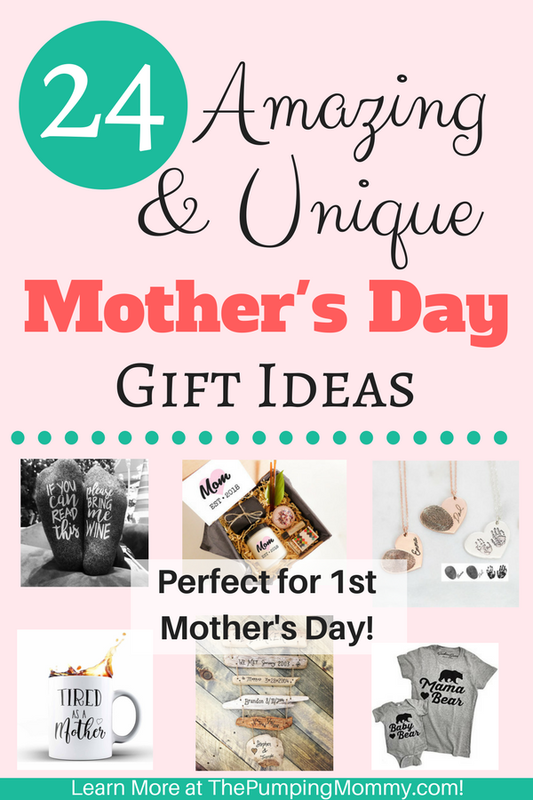 These awesome and unique Mother’s Day gifts are sure to be a huge hit! Moms love coffee. It’s a fact. 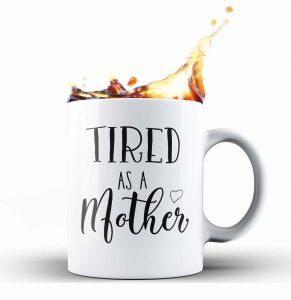 This mug reads, “Tired as a Mother.” Isn’t that the truth!? I love fun coffee mugs. Would be perfect if also paired with a Starbucks gift card! You can find it on Amazon, here! These socks are amazing! 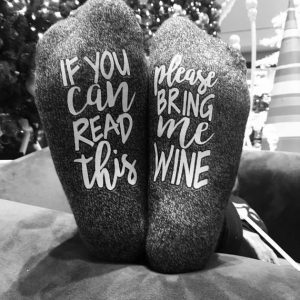 They say on the bottom, “If you can read this, bring me wine.” All moms need these socks! You can find these on Etsy over at the OnTheBeachBoutique! I love these Pajama Sets from Figure8Maternity! 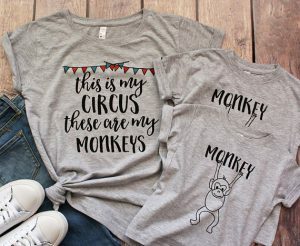 They come with a matching outfit for your baby and are amazing! There are a lot of styles and colors to choose from. Click here to see more patterns! All moms need to make time for self-care. Oxford Momma makes a little “me time” that much cozier. This is a paid subscription that ships monthly and each box includes a bestselling book, an aromatherapy candle, and inspirational art print (postcard size), and 1 or more self-care themed items (typically handmade). This is a great gift for Mother’s Day and very unique! Click here to read more about Oxford Momma boxes and see where you can sign up! This is the perfect gift for any nursing mom. Bebe Au Lait muslin covers are super soft and breathable. With summer months coming, this is the perfect nursing cover to keep baby cool. It also has an open neckline that holds it away from you so you can make eye contact and see your baby easily without having to pull the cover back. I have one and LOVE it! Click here to see the various Prints and Colors the Babe Au Lait Muslin Covers come in! If you have a sense of humor, then you will appreciate this recipe book like I do. What the F*@# Should I Make for Dinner? : The Answers to Life’s Everyday Question is definitely a fun way to cook! 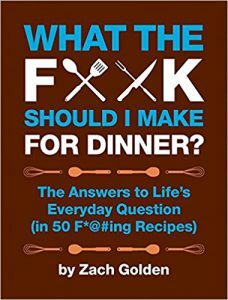 It’s a bit R-rated but hilarious and the recipes are quite good. If you want a good laugh, this is a fun gift for a mom who loves to cook! You can grab this gem on Amazon, here! This could be a really fun and very special keepsake for Mother’s Day. Obviously, it would need to be filled out by Dad or Grandma or an older child, etc but moms love personalized stuff and this journal would be perfect! This beauty is found over on Amazon, here! This custom, handmade necklace would be an amazing gift! 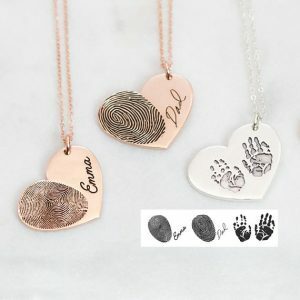 There are a lot of options including fingerprint, handprint, footprint, and custom engraved messages. These are gorgeous and a personal favorite of mine! These unique necklaces can be found over at CaitlynMinimalist on Etsy, here! This handcrafted spa basket is the ultimate gift for any mom. It comes with a long list of products including Stress Release Bubble Bath, Body Wash with Shea Butter, Aromatherapy Bath Salts, 3 Fizzy Bath Bombs, Handmade Essential Oil Soap Bar, Hand-poured Aromatherapy Candle, and much, much more! To see the complete list of items and to learn more, click here! Matching with your first born is almost like a rite of passage. 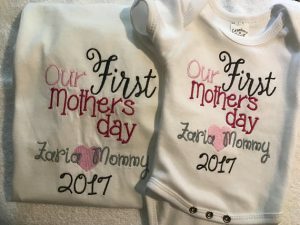 These adorable matching shirts make a great Mother’s Day surprise! You can find them over at BubblePopCreations on Etsy, here! These matching shirts are from Southern Designs. 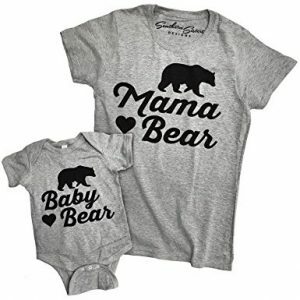 They read “Momma Bear” and “Baby Bear.” The mom shirt does run small so be sure to order up a size or two! You can find this set on Amazon, here! This stainless steel water bottle is personalized with your name (whatever you like to be called) and date. For example, “Mommy, Est 2017.” They come in a variety of colors! 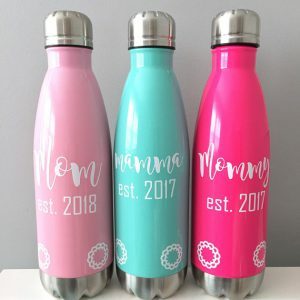 Great gift for any mom! You can find these and customize your own over at KatiePieDesigns on Etsy, here! 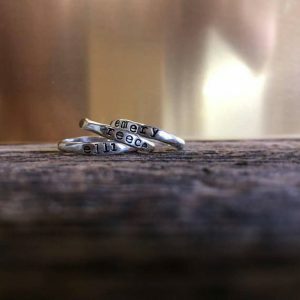 These customer rings come in Sterling Silver or Brass and can fit names up to 10 characters. They are organically shaped (not always perfectly round) and hand stamped. They are a beautiful gift for any mom and will be a wonderful keepsake for years to come! You can get your custom rings over at SproutsAndRoots on Etsy, here! This necklace is stunning! It features hand-stamped birthstones and is completely customizable! You select the number of birthstones and leaves you would like and which birthstone. This is a beautiful and subtle way to always carry your kids with you! The best part is as your family grows, you can order additional birthstones and leaves! You can find this one-of-a-kind treasure over at delezhen on Etsy, here! 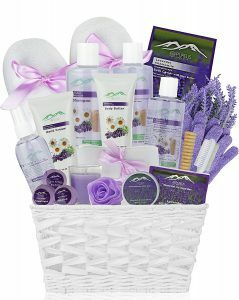 This spa gift basket is made with all natural and organic ingredients. It is handmade without chemicals or preservatives by Peace Organics. The basket includes a Natural Soy Candle in your Choice of Scent, Stylish Box of Matches, Handmade Bar of Soap, Natural Lavender & Ylang Ylang Bath Bomb, Natural Moisturizing Lip Balm, Organic Honey Sticks, and a personalized Greeting Card. Perfect for Mother’s Day! You can pick up one of these baskets over at PeaceOrganics on Etsy, here! 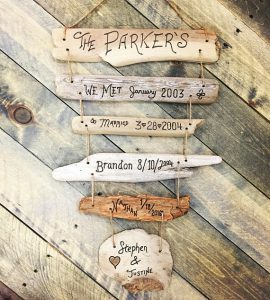 This custom driftwood family tree would make an amazing gift. Each sign is hand-engraved and strung together to tell your story. It is completely customizable! This will make the perfect keepsake to display in your house for years to come! You can order your own custom family tree over at DestinationTree on Etsy, here! This is the perfect survival kit for any mom! 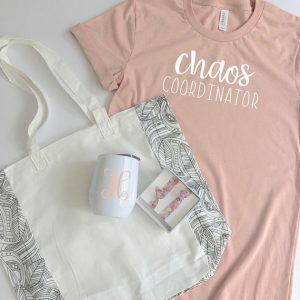 It comes complete with a peach t-shirt that says,”Chaos Coordinator,” a 10 oz stemless tumbler with lid, a two pack of elastic hair ties, and canvas tote with side design. Both the tote and tumbler have the option to add initials to make this a very personal and customized gift! You can order this gift basket over at BeaudreysBoutique on Etsy, here! I absolutely adore this gift idea. This Onesie Bear is made out of your baby’s onesie/sleeper to help preserve the memory of when they were so small. It is also a great way to keep those special outfits instead of cramming them away in a box somewhere. 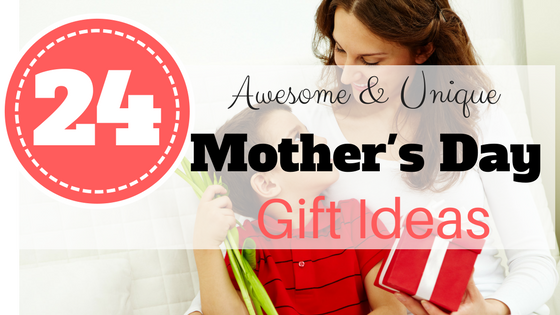 This is a truly unique and special gift for any mom! 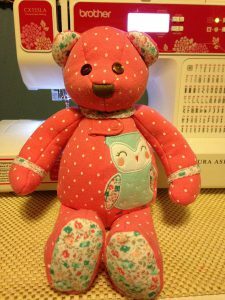 You can read more about Onesie Bears and buy yours from GrandmaGinCreations on Etsy, here! You can grab your shirts over at MaleyDesigns on Etsy, here! This is a great gift for any mom who loves being outdoors. 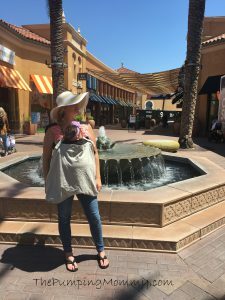 When babywearing (wearing your baby in a carrier or wrap), keeping them out of the sun can become an issue. A majority fabric is not sun/UV protected and heavy blankets or covers get just too hot. 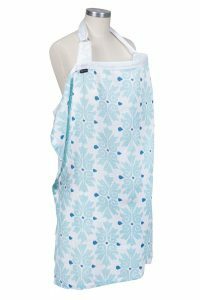 Little Goat Sun Baby Carrier Covers is a lightweight, UPF-50 rated cover that snaps onto your baby carrier (or stroller) to give your baby complete sun protection while staying cool. I love mine! This would be an amazing gift for any mom who loves hiking, running or anything outdoors! You can grab your Little Goat Sun Baby Carrier Cover, here! 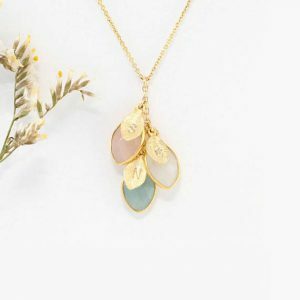 If you haven’t heard of breast milk jewelry, this is an amazing way to preserve this very special, yet short time in a mother and baby’s relationship! Basically, you send a small milk sample off to be made into a piece of jewelry. There are many options and designs to choose from (some companies will even make custom design pieces). You can get rings, pendants, bracelets, etc! This would be an extremely thoughtful and personal gift for any new mom (or seasoned mom!). 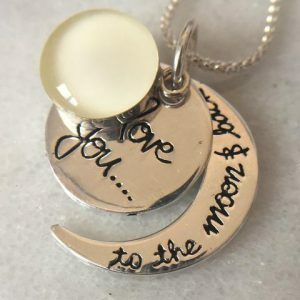 You can order your own Breast Milk Jewelry over on Moms Own Milk, here (they ship worldwide!)! If you are looking for something a bit more traditional, jewelry is always a big win! 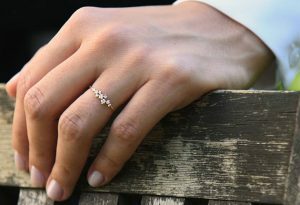 This diamond cluster ring comes in Rose Gold, Yellow Gold, or White Gold. It is very dainty and delicate and absolutely stunning. This is a timeless piece that is a great way to celebrate the mom in your life! You can find this amazing, beautiful ring at FerkosFineJewelry on Etsy, here! Essential Oils are amazing to have and not to mention can leave your house smelling amazing. Having a quality diffuser is a must. The Zen Breeze is a high-quality diffuser that comes with lots of options. You can turn the lights on and off separate from the diffuser and choose from 14 different LED light colors. It is cool-mist so is not hot to the touch. It can run continuously or on a timer. This would be a great gift idea and would be amazing paired with some high-quality oils. 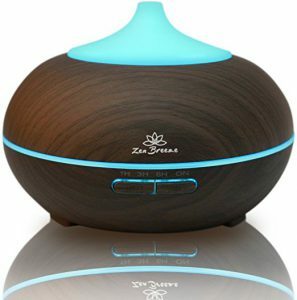 You can find the Zen Breeze Diffuser over on Amazon, here! I love Mommy Makeup! This line was started by a mom who has created some amazing, timesaving products to help us moms look great even when we have limited time to apply it all. All products are allergy tested, paraben-free, cruelty-free/no animal testing (certified by PETA), and Made in the USA! The Out the Door Collection is the perfect starter kit for any mom. It comes with Mineral Dual Powder, Any Wear Creme, Little Lush Kabuki Brush, Creme Definer Brush, Paint By Number Instructions, and Black Mesh Makeup Bag. You can see this kit and more over at Mommy Makeup, here! I hope all moms have an amazing and wonderful Mother’s Day! Need more gift Ideas?? 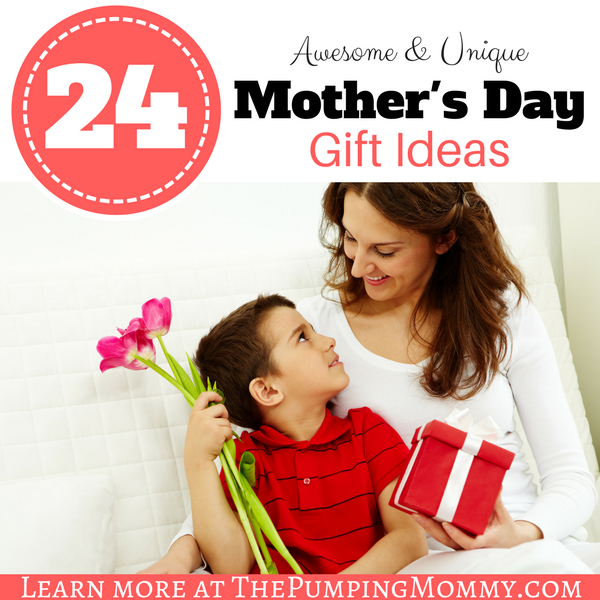 Check out this list of Inexpensive Mother’s Day Gifts! Thank you so much for sharing brilliant and thoughtful Mother’s Day gifting ideas. My wife and I have 4 children and I always have trouble finding something for mothers day for our children to give her. 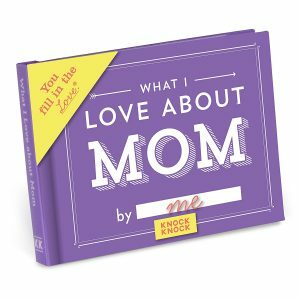 You have some awesome ideas for gifts here that I know she would love, I especially love the cookbook, that really made me laugh and I know my wife would find it hilarious. I might even get one for my mother for mothers day. Cheers for the ideas and I have bookmarked this page for future reference. I think your wife and I would get along great… haha The cookbook is a favorite of mine! I think I love it even more that your mom would love it! She sounds like a lot of fun. I am glad you found some possibilities for gifts and thank you for stopping by! These gift ideas for first time moms are really cool! One of our best friends will be celebrating her first mother’s day this year, that’s next month, and we’re planning a surprise party for her. We were able to organize everything secretly, from the venue to the foods that will be served. We just can’t decide what gifts to give her. So thank you for these wonderful gift ideas. I like the ultimate spa basket with chamomile and lavender oils but the mommy make up out the door collection is also nice. Hmmm … what do you think? How fun! That is so sweet of you to arrange such a special surprised for your friend! 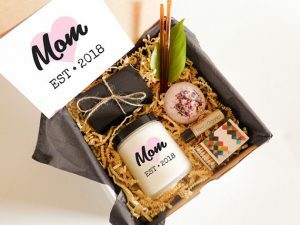 I love both the spa basket and the mommy makeup collection. If I had to choose, I might go with the makeup only because I think in the long run it is something I can use longer and would make my life so much easier. I always neglect my makeup and hair during the week since I’m so busy, so having all those products condensed into just a few would be a huge help! I hope you have an amazing celebration with your friend and thank you so much for stopping by!